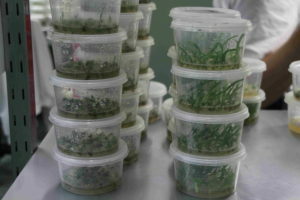 We specialize in the commercial propagation of plants in-vitro, known as plant tissue culture. 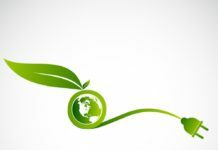 We are in business that supply many industries, such as bio renewable energies, re-vegetation, land restoration, agriculture, horticulture, floriculture, aquaculture, medicinal and pharmaceutical and many more. the variety you pay for will only be sold to you. Please read our FAQ for more details. this service is to encourage propagation and distribution for everyone. 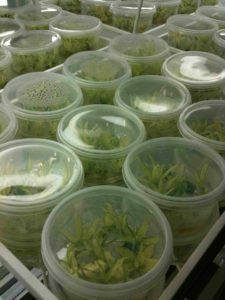 While our plant tissue culture management and staff have education and experience beyond this, we have been producing and handling our own stock for over 18 years. We sell our products worldwide and know what conditions our stock will thrive in. Located in the eastern suburbs of Melbourne, Victoria, our company takes great pride in being Australian run and owned. We do not import any stock from overseas; all stock is initiated and produced in our own laboratories. We also offer 100% FREE advice and business relationship care. Spektrum Culture doesn’t just provide a product, we provide a service. From our first discussion and throughout the business relationship, we offer an honest and open dialog. 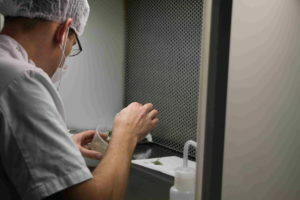 Starting with initiations, where we can guide the customer through an honest assessment if the plant is suited to plant tissue culture, offer realistic lead times, pricing and success rates, through to production, where we continue to work with the client to ensure they are receiving the product they want. Any adjustments to the product, delivery or troubles in de-flasking, we can assist on many levels, and we understand that a customer may have many years of experience or little at all. Our team are constantly watching world trends and innovations in the field of plant tissue culture, giving us the ability to stay on the cutting edge and be competitive with pricing. Our Research and Development team guides us through uncharted territory, achieving results other laboratories have been unsuccessful with. We are not ashamed to admit that some of our work is referred to us as a result of other laboratories failing the client. Our Production team produce stock fresh to order, ensuring quality stock. While we do have some excess stock from time to time, we do not store or refrigerate stock in hopes of making a sale. We go to great lengths to achieve our results and the science behind our results is thanks to some great minds on our team. All of our tissue culture media is freshly prepared onsite and tailored to our own methods that have been researched and devised by Spektrum Culture. Our customers’ piece of mind is also paramount. Where we offer our own science and innovations to assist in achieving the best results, we also offer the benefit of utilizing our stock security options. 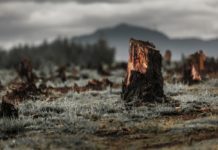 It is not uncommon, given that plant tissue culture is working with sterile living material, for there to be a loss of some degree of stock. While all laboratories should practice risk management and good laboratory practices, at Spektrum Culture we can now offer more. We have two separately located laboratories. Secured with concrete walls, and barred entrances, our exposure to theft, vandalism, fire and other threats to nursery located business’s is minimal. Should there be an internal reason for loss of stock, we offer our clients the option to have their stock secured, stored and produced at two separate locations. 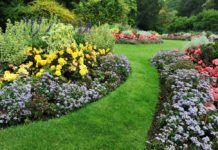 Especially for anything of high importance like a new breed or an endangered plant, this is a valuable benefit. If you are interested in our plant tissue culture propagation/initiation services, we are pleased to offer our new packages designed to accommodate customers at all levels of requirements. If you would like to see the plants we produce in the public domain, please view our stock list, these are in our general production and orders are welcome at any time. If you have a PBR variety, new breed or endangered plant that you would like us to produce for you, we welcome any contract/agreement. We produce many plants, which we do not display, exclusively for our customers. If you cannot find what you are looking for or would like to have a discussion about how Spektrum Culture can assist you, please contact us.